Oder lösen Sie dafür 24800 Kobo Super Points ein! 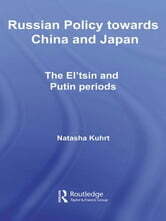 Drawing on the most up-to-date sources, this book provides an in-depth examination of Russia’s relations with China and Japan, the two Asia-Pacific superpowers-in-waiting. For Russia there has always been more than one ‘Asia’: after the collapse of the Soviet Union, there were those in the Russian elite who saw Asia as implying the economic dynamism of the Asia-Pacific, with Japan as the main player. However there were others who saw the chance for Russia to reassert its claim to be a great power, based on Russia’s geopolitical and geoeconomic position as a Eurasian power. 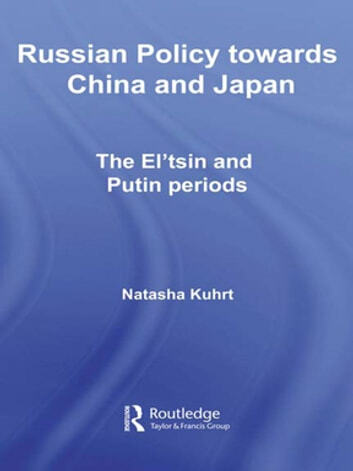 For these, China was the power to engage with: together China and Russia could control both Heartland and Rim, both Eurasia and Asia-Pacific, whereas accepting Japan’s conception of Asia implied regional fragmentation and shared sovereignty. This book argues that this strand of thinking, mainly confined to nationalists in the El’tsin years, has now, under Putin, become the dominant discourse among Russian policymakers. Despite opportunities for convergence presented by energy resources, even for trilateral cooperation, traditional anxiety regarding loss of control over key resource areas in the Russian Far East is now used to inform regional policy, leading to a new resource nationalism. In light of Russia’s new assertiveness in global affairs and its increasing use of the so-called ‘energy weapon’ in foreign policy, this book will appeal not only to specialists on Russian politics and foreign policy, but also to international relations scholars. Eastern Partnership: A New Opportunity for the Neighbours?